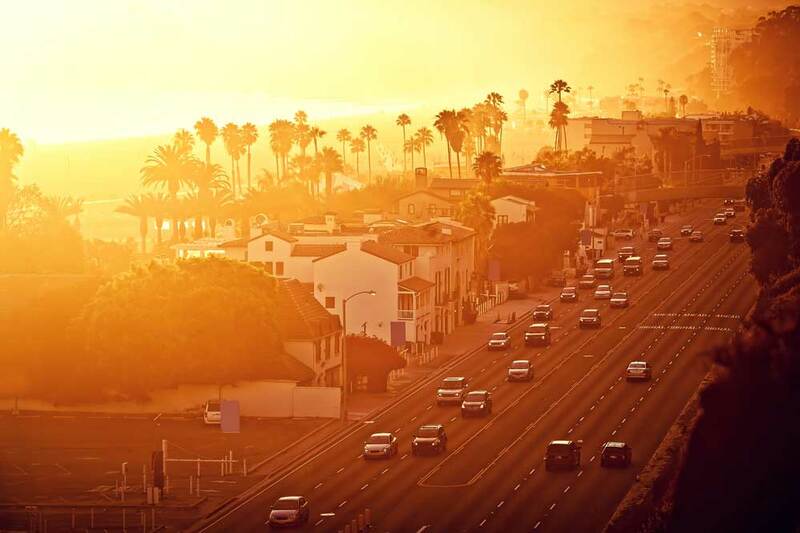 Santa Monica California is one of the most popular beach side destinations for visitors and locals alike. The area is filled with the best restaurants, trendiest boutiques, and awesome nightlife. Accommodations are available to those with basic needs for comfort and relaxation, as well as those who crave the five-star pampering they deserve. Loews Santa Monica Beach is centrally located just minutes from Venice Beach and Malibu, and gives guests a perfect view of the Santa Monica Beach area. The modern renovations welcome guests and make them feel pampered and relaxed. The seafood gets rave reviews, and the view from the pool is breathtaking. Hotel Casa Del Mar is situated on the beach for easy access to the sand and surf, and spectacular views from the floor to ceiling windows in your room. The restaurant not only has delicious seafood, but panoramic views of the ocean as well. Shutters on the Beach is an exquisite hotel that provides the feeling of staying in a beach house, but with so many extra perks. Step onto your balcony and enjoy a glass of wine, or sink into the luxurious designer bedding for a restful nap. The hotel even provides cocktails by the sea for evening relaxation. The Huntley Santa Monica Beach Hotel features 209 magnificent guest rooms, which includes 20 spacious suites. Perks include pillow top beds, a mini-bar, and private chauffeur service. Enjoy in room dining, or head up to the rooftop to the Penthouse restaurant and lounge for dinner or a cocktail. If you enjoy outdoor activity, the Viceroy Santa Monica gives guests a little extra by providing two bikes per room for personal use. You’ll want to take a cruise down the boulevard and check out the local area anyway, so why not do it on a bicycle? Hotel Shangri-La is located directly across from the Santa Monica pier. The hotel opened it’s doors in 1939, and has been pleasing guests ever since. The architecture inside and out will make you feel as though you have embarked on a cruise on a fabulous ocean liner. The rooms are exquisite with balconies, luxury bath items and plush robes. The famous pier is just steps away so you can check out all the excitement the famed pier has to offer. The Wyndham Santa Monica is also located right in front of the pier. Guests staying here can enjoy the heated outdoor pool, fitness center, and of course valet parking. The Ocean View Hotel will provide you with just that…a marvelous view of the sparkling Pacific. You can take a walk on the pier or do some designer shopping on the boulevard.